Sony Japan has revealed that the online servers for LittleBigPlanet will be closing at the end of July 2016, rendering the online portion of all LittleBigPlanet games useless. The server closure will affect all LBP games including LBP, LBP2, LBP3, LBP Karting, Portable & Vita, affecting the PS3, PS4 and PS Vita games. Sony Interactive Entertainment Japan Asia (SIEJA) is pleased to announce that it has decided to terminate the online service of LittleBigPlanet 3. 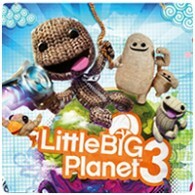 The PS4 version of LBP3 was released only in December 2014, making it relatively recent in terms of online termination. Especially since the servers for the original LBP have been active since 2008. This shutdown does not affect the North American or European / PAL versions of the game, but that does not rule out a future closure. It will mean that the user-generated levels and content won’t be available going forward – one of the main reasons why the game was popular in the first place.